The Siamese fighting fish only partly deserves its common name: the males are aggressive towards one another - and to females after spawning - but they do not interfere with other species. The females are always mutually tolerant. 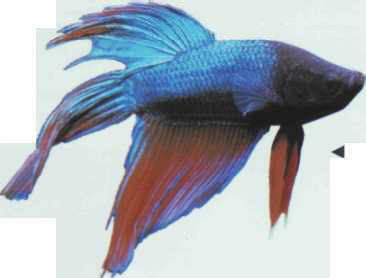 A handsome male (red, blue, or green) can therefore be kept in a regional or community tank. As soon as the female has laid her clutch of several hundred eggs, she must be removed, as she runs the risk that her mate will attack or even kill her. Incubation takes 2 days; remove the male after hatching. The fry will develop rapidly. Size: 6-8 cm. ТРУБЕЦКОЙ БАСТИОН , часть Петропавловской крепости, назван по имени сподвижника Петра I князя Ю. Ю. Трубецкого. С кон. 18 в. политическая тюрьма. В 1870-72 построено новое здание одиночной тюрьмы с особо жестоким режимом. С 1924 - музей.